A little over a year ago I discussed the direction of interest rates in a post entitled, “Are Interest Rates Going Up? Yes…and No”. Since that time, some things have changed and others have not. Interest rates have essentially remained unchanged, but the Federal Funds rate – the rate that all other rates bow to – has doubled. This, as we shall see in part two of this post, was unpredictably predictable. And while the broad economy has continued humming along for the last year or so, so have most people’s ‘inflated expectations’ about the direction of interest rates. Depending on how you look at the numbers, we might be in the best of times or we might be in the worst of them. Last year I suggested that while interest rates could continue climbing for a short period of time, they would eventually decline. This was contrary to the prevailing wisdom of the political and economics pundits. Many believed (and still do) tax cuts and a pro-job president would usher in a new economic renaissance. This new wave of economic growth would, subsequently, lead to higher inflation and higher interest rates (this is another fallacious conclusion, but I digress). However, despite those great expectations we find ourselves in much the same position today than we were last year. Interest rates, inflation, and economic growth are essentially unchanged since the end of Obama’s tenure. And yet, the murmurings of rising rates, higher inflation, and increasing economic growth have continued unabated. So what is going on? Are we in for rising rates? Is inflation going to take off? Or, as I suggested, will interest rates go lower? The current 2.4% is above the Federal Reserve’s (Fed) ‘official’ inflation target of 2%. Despite the Fed’s claims to the contrary, inflation has been above its targeted rate for well over six years. This is long before the Fed foolishly decided to add an additional $1 trillion dollars to purchase government debt. The rationale for putting a bigger debt burden on us and our children was the need to drop interest rates further to encourage borrowing and spending. That, in turn, would help reach an inflation target that, ironically, the Fed’s own data suggests it had already achieved. In reality, all the Fed did was inflate the price of stocks, bonds, and real estate to historic highs. Suffice to say, inflation is not going up, yet. It’s also not going down, yet. From a Keynesian perspective, a growing economy leads to higher inflation. This is wrong, but it’s how they think. And they dominate the Fed. This explains why the expectation of a growing economy is leading some to expect higher inflation. However, with this economic expansion already long-in-the-tooth (the second longest on record) and economic growth continuing to be mediocre, inflation is following suit. Others worry about inflation from an entirely different point of view. They fear that the massive money-printing spree by the Fed between 2009 and 2014 will lead to massive inflation (e.g. Venezuela). An additional $3 trillion of currency in the system, they contend, will lead to higher prices. This is, shall we say, scaring the ‘Dickens’ out of many. Some are buying gold and hunkering down for a social revolution. The pattern is undeniable. As the monetary base was expanded post-2008, reserves held at the Federal Reserve moved in tandem. The vast majority of currency infused into the system since 2008 has merely been sitting “on the sidelines”. 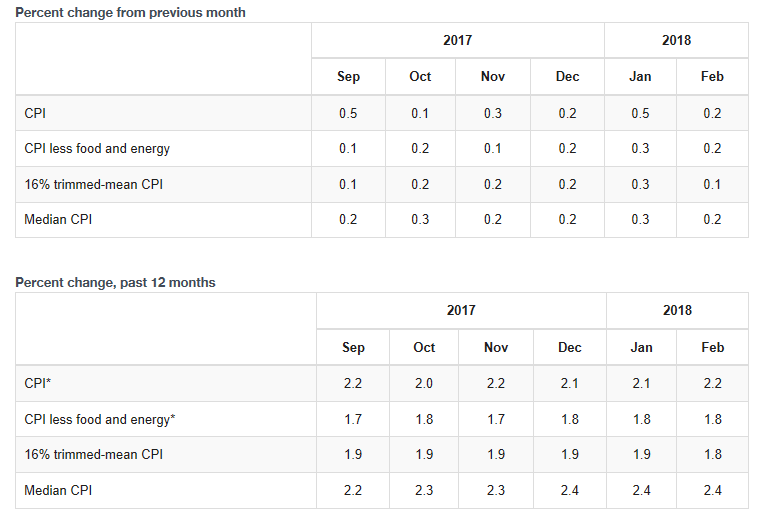 This has muted inflation…for now. Like I said last year, inflation will eventually spike. However, for now I expect it to remain relatively low. The prospects for economic growth remain dim as the two primary drivers (productivity gains and population growth) both continue to disappoint. This means banks will likely continue to keep all their excess reserves in their interest bearing accounts at the Federal Reserve. This, in turn, will greatly influence where interest rates go from here. 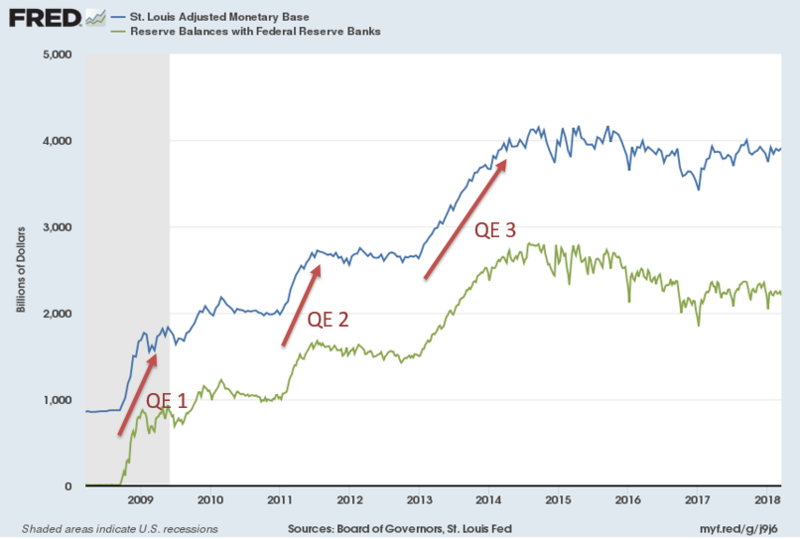 In the next blog post, I will continue discussing interest rates across the broad economy and where they are likely headed next. What we find may surprise you.